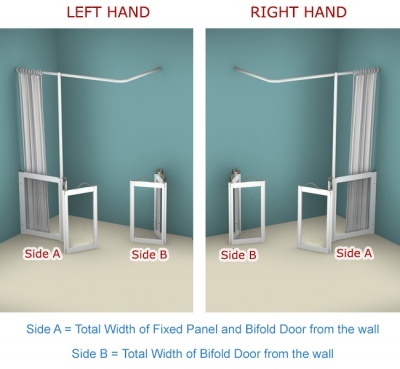 Bi-fold doors have a 360° hinges between the 2 panels. Please double check your measurements before ordering. Doors are made on a bespoke basis and cannot be returned. 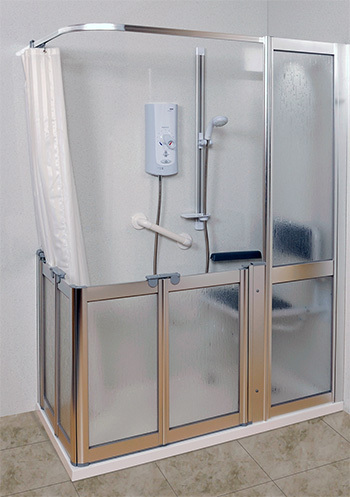 Corner entry half height made to measure shower doors, ideal for assisted bathing or disabled, assisted showering solutions, offering splash protection for carers. Practical and stylish, Contour’s attractive enclosures can be used by the whole family. Finished in Luxe Silver, contemporary fittings and rise & fall hinges create enclosures of style, quality and exceptional appeal that are easily accessible and simple to install. Doors are glazed using a high impact patterned PET material. Clear Glass is available for additional charge, contact us for details. All our enclosures are manufactured entirely in the UK. 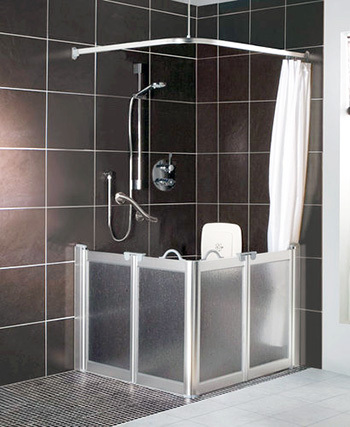 Contour's made to measure doors can be made to any practical size & configuration. 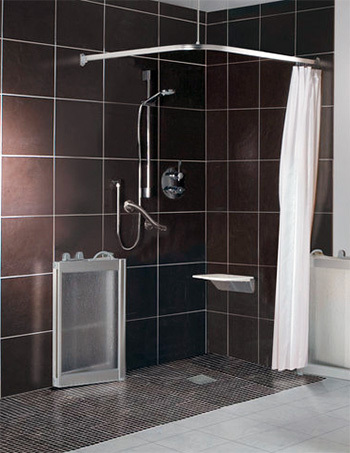 Shower doors are usually made to the standard height of 750mm. 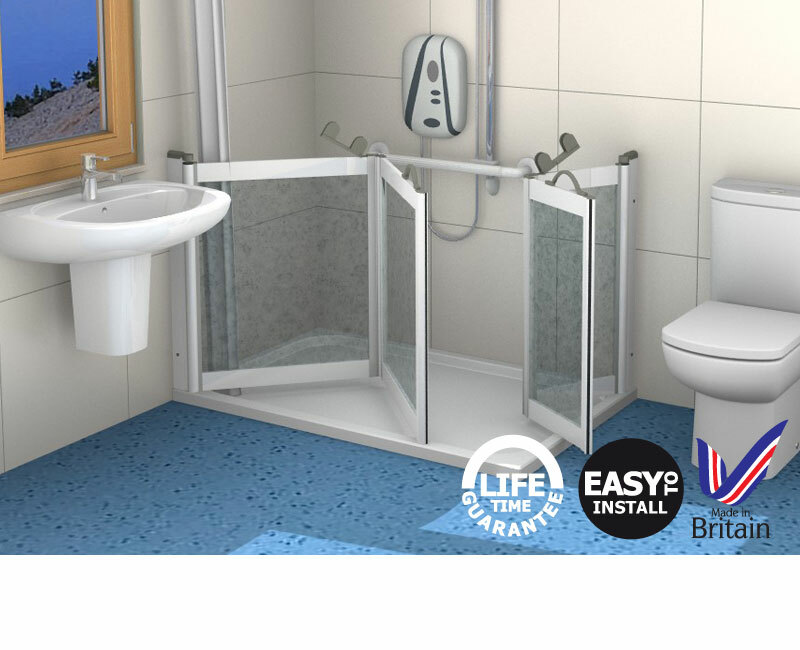 You can select your doors to be made to any height between 700mm - 1000mm. 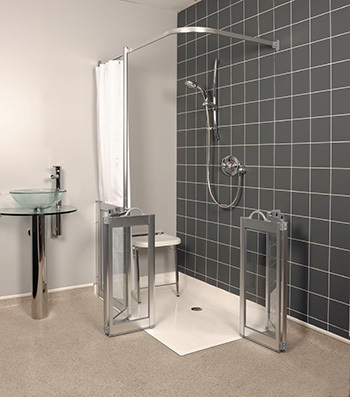 Suitable for wet floor areas or shower trays (trays need a flat edge and a 40mm wide section on which to sit). Include an integrated corner block designed to overcome floor coving. The block can be cut at 10mm or 38mm radius. Lifetime guarantee when in a domestic application. Full height fixed panels available upon request (additional charge may apply). 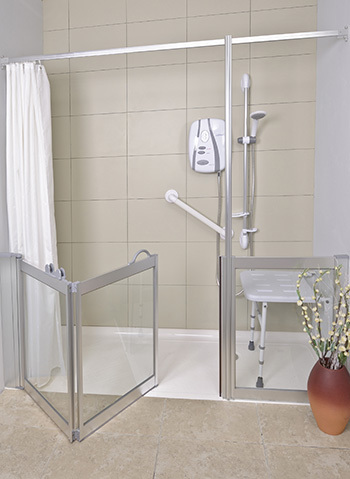 Where a configuration has a bi-fold door, the hinge connecting the 2 panels will have a 360 degree turn, allowing the doors to open in or out of the shower. 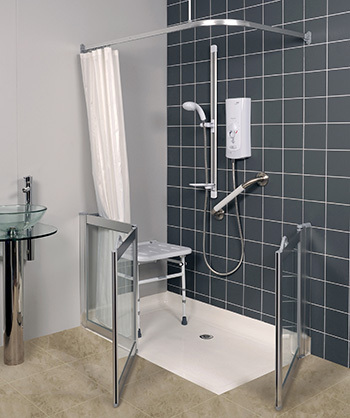 There are many standard configurations displayed on this web site, if you can not see one that meets your exact requirements, contact us for a quotation. It is important that accurate dimensions are taken, for an alcove: measure from the tile face to tile face, or for corner configurations: the size of the proposed closed position of the doors. 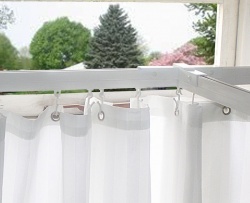 Curtain rail supplied as shown in diagram matching your chosen configuration. Contact us if you need an alternative shape / setup. 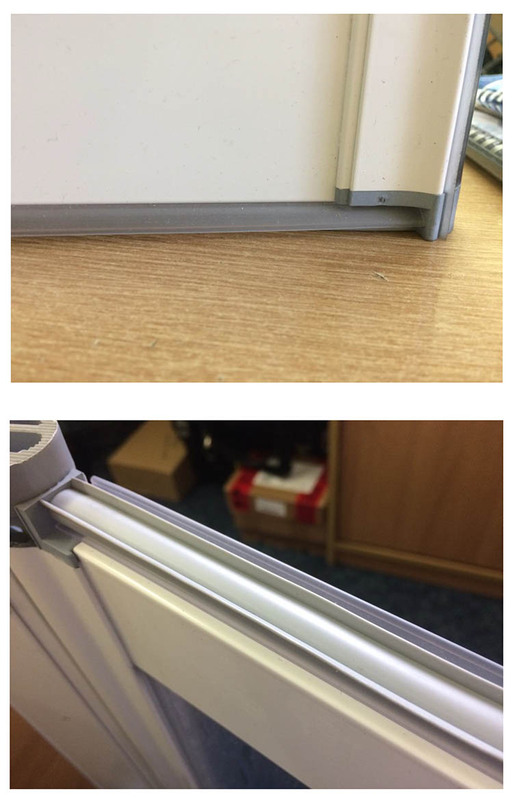 Drop down ceiling to curtain rail supports are 600mm as standard. If you need extra long supports for a high ceiling, or need additional supports please contact us when ordering. 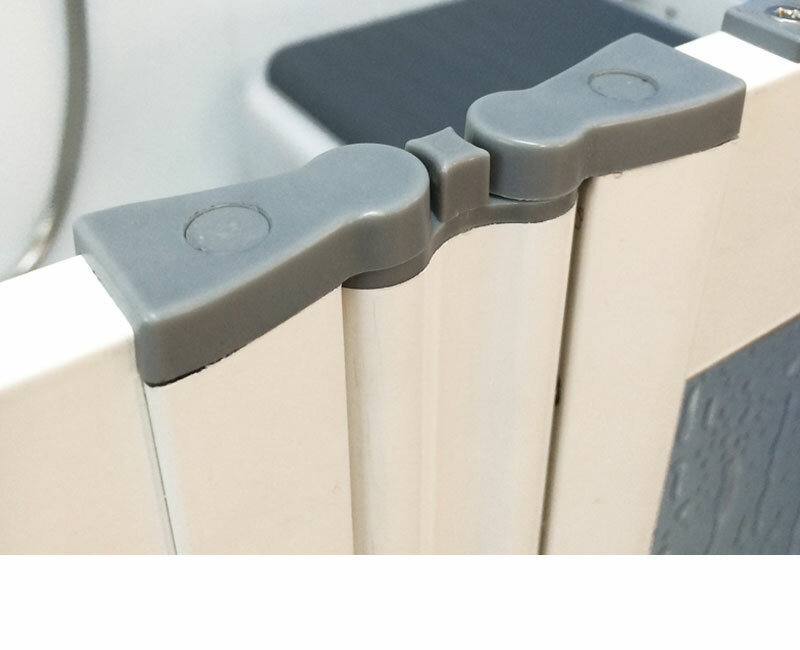 If a vertical support pole is shown with your chosen configuration, the total pole height to the curtain rail is 2 metres. If you need this to be longer, please contact us before ordering. Floor to ceiling poles are also available when ordering at the same time as the doors. 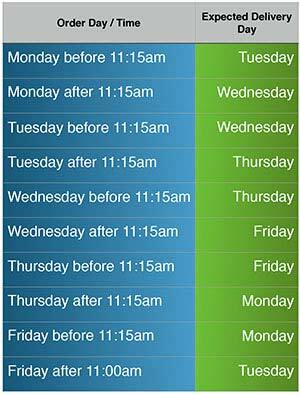 If they are ordered at a later date, an additional charge will apply. When you are ready to order, complete the details at the top of this page, giving your requirements, and add the configuration to your shopping cart. Please ensure you double check your measurements and requirements before ordering. All doors are made on a bespoke basis to your requirements and cannot be returned. Contour Luxe Satin Silver Half Height Doors / screens additional information and images. Below are sample images of completed installations.